Aside from its Master’s program, the Centre for Digital Media offers a month-long program called IDEA-X. 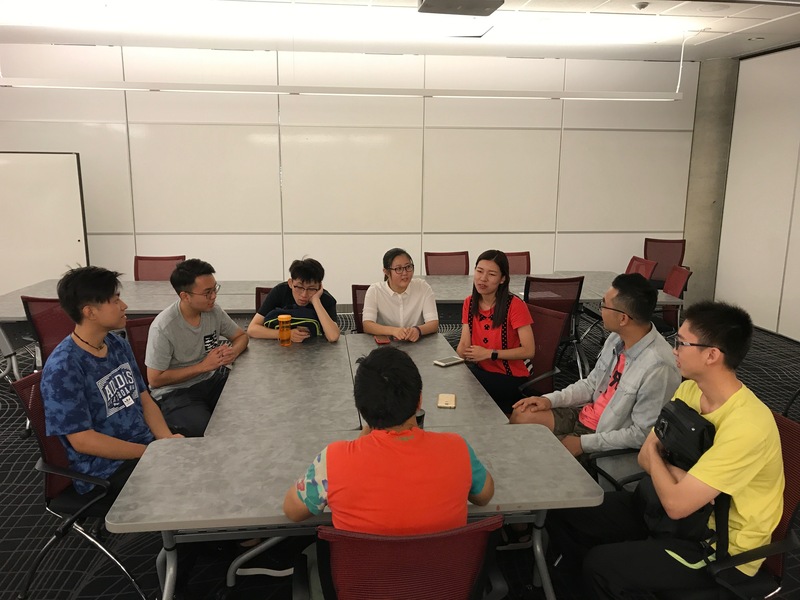 It was designed to give international students a first taste of the digital media world. 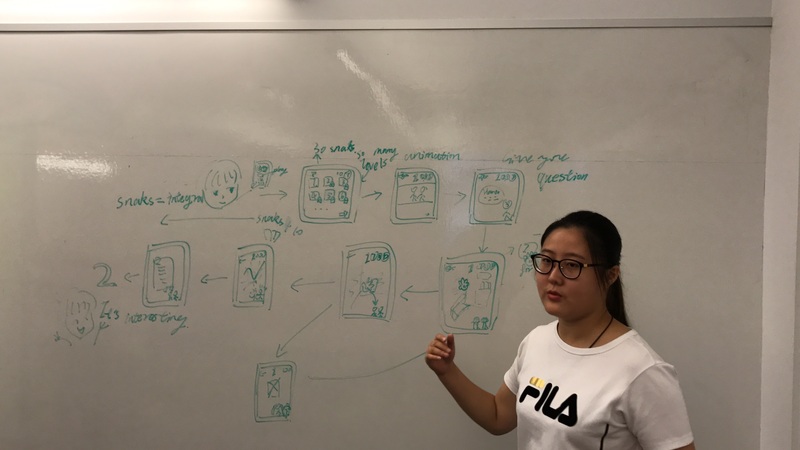 Led by Bill Zhao (MDM alum), this program allows students to try out the latest digital media tools and gives them the opportunity to develop key competencies such as collaborative design, pitching, rapid prototyping… and more. 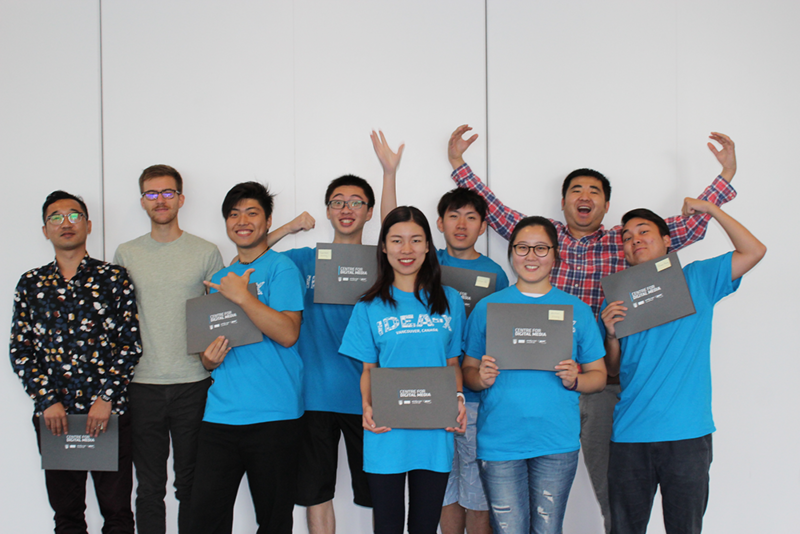 On August 8th, 2017, a new session of the IDEA-X program began. The CDM offered me the opportunity to teach part of the curriculum alongside Al Sinoy. 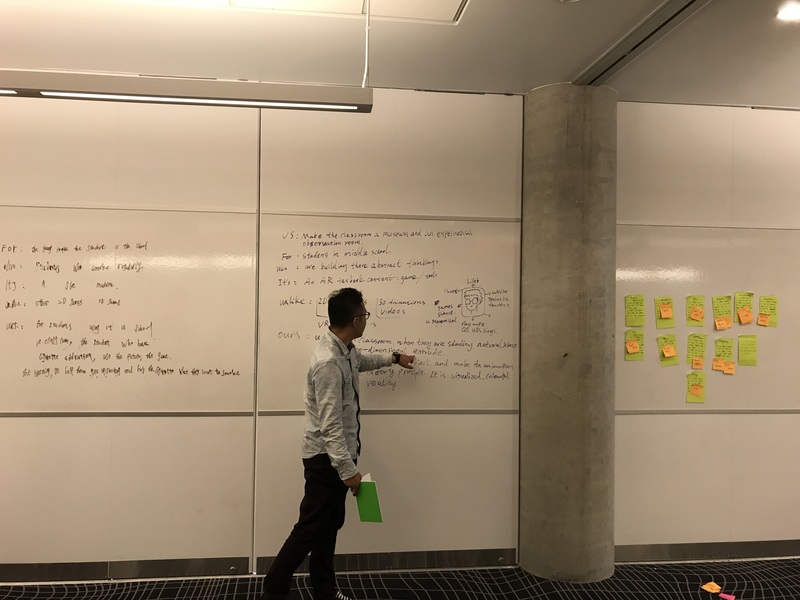 In addition to facilitating most of the classes, I had the chance to teach them the basics of agile and scrum in digital media. Agile: the philosophy, the implications and benefits of agile in prototyping, team management and software development. Coming up with vision statements for our students’ ideas was challenging; However, I believe it truly helped them to perfect their ideas and come up with good differentiating strategies. It was also a way for us (teachers) to go back to the persona and evaluate their idea through the perspective of the end user. The picture above was taken during an ‘ideation workshop’. We asked the students to start thinking about their persona and their ‘typical day’. They came up with a series of verbs and posted them in chronological order – from early morning to bedtime (see yellow post-its). We then asked them to come with ideas/features to meet those needs. Example: Persona A wants to be able to have lunch at midday (verb = have lunch). In this case, a feature could be a restaurant. I found that dissociating the persona’s needs from features was very useful as people tend to jump to ideas straight away while ignoring the problem at hand. 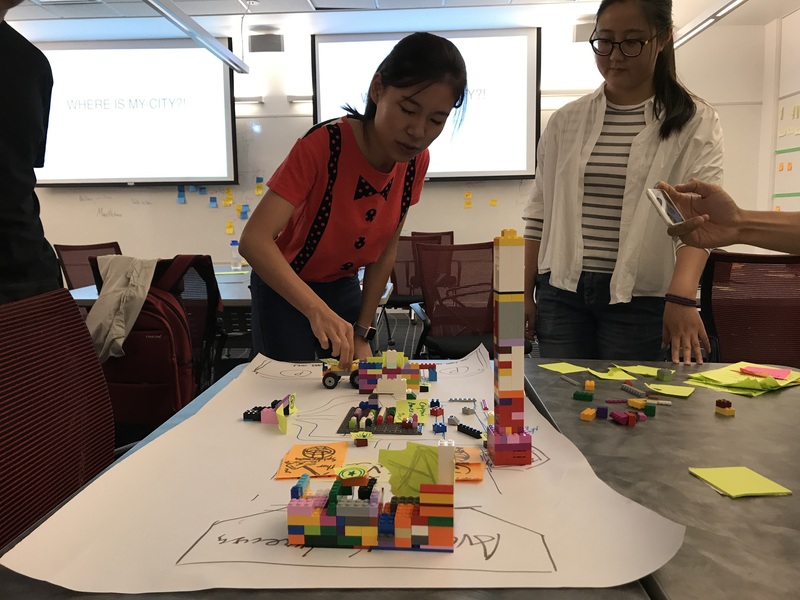 The picture above was taken during our “Lego4Scrum” workshop (originally designed by Al Sinoy). The team was asked to define their dream amusement park and was then asked to build it in a series of 7 sprints. 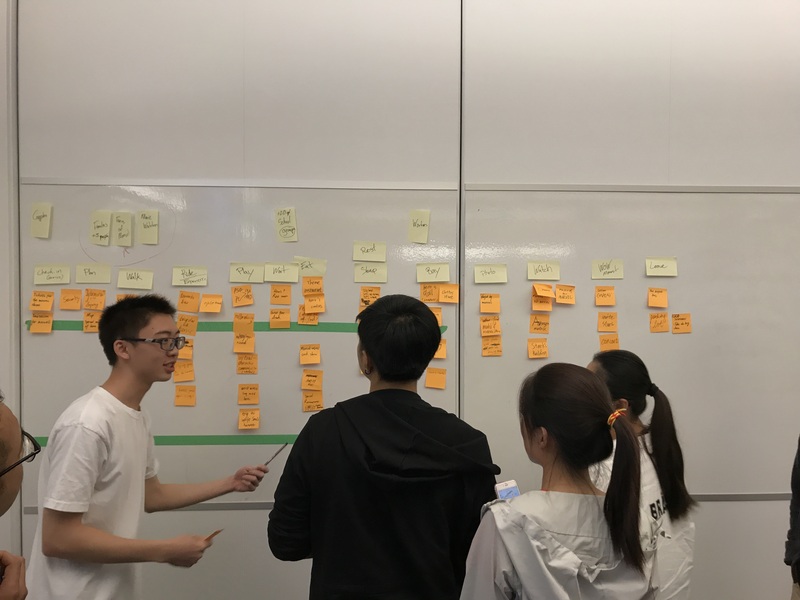 The main takeaways for them were: the roles of Scrum Master and Product Owner, velocity tracking, the concept of ‘fidelity’, MVP, and ‘nice-to-have’ features. This was great for a first teaching experience. Revisiting the material I was given during my master’s program and teaching it in a concise and digestible way was a great way to internalize it. I even found myself questioning what I had been doing in my 3rd term at the CDM. I found that the best way to teach students a new tool is to make them use it as soon as possible. Practice always wins over theory in this kind of environment. Doing a short recap/retro after each activity is necessary to help students understand the material. It was fairly easy to tell if they got the message when hearing them share their takeaways. Read about IDEA-X November 2017.